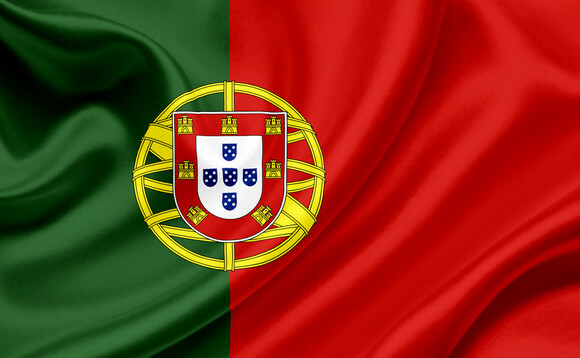 In late October, Dominion Bond Rating Service (DBRS) decided to keep Portugal’s sovereign rating at investment grade, maintaining the country’s BBB (low) rating with a “stable” outlook on the back of its progress in reducing the fiscal deficit and proactive measures to strengthen the banking sector. After the DBRS decision, Portugal’s 10-year government bond yield fell sharply to its lowest level over the previous six weeks, and, following parliamentary approval of Portugal’s 2017 budget, bonds experienced another fall, out-performing Spanish and Italian bond yields which nudged higher. Despite this boost in sentiment, investors remain concerned; as indicated by credit default swap rates on 5-year Portuguese debt reaching 270bps by mid-November, up from 170bps from the end of 2015. “I don’t think that the current state of the Portuguese (and also European) economy advocates for an increased allocation to Portugal’s debt, simply because one rating agency among four decided not to downgrade the country,” says Jean-Philippe Donge, head of Fixed Income and bond fund manager at BLI –Banque de Luxembourg Investments. “The other three agencies [S&P, Moody’s, and Fitch] all rate Portugal BB+ or equivalent. Even though some slight improvements have been achieved, the constraints on the economy remain important,” Donge adds. According to S&P, Portuguese ratings remain constrained by a very high public and private sector indebtedness, fragility in the domestic banking sector, and a weak monetary transmission mechanism, all of which hinder Portugal’s economic growth potential. With a debt ratio hovering around 130% of GDP in 2016, DBRS also notes the “important credit challenges” that the country faces; the government debt ratio is forecast to decline “only gradually”. As a result, the country is vulnerable to adverse shocks, the rating agency adds. Portugal’s highly indebted economy with “structurally impaired” growth prospects should not be overlooked by bond investors, who “should be cautious about liquidity and about Portugal’s reliance on foreign funding”, says Olaf Penninga, senior portfolio manager with Robeco’s Rates team. Without firmer government commitment to structural reforms and the repair of domestic bank balance sheets, the risk of a downgrade will be hard to dispel, Hilton suggests. “In that context, market conditions may once again become challenging as the next DBRS review approaches,” he adds. Both Columbia Threadneedle and Robeco managers note their view on Portuguese bonds is neutral: although the spread of Portuguese bonds to other periphery bonds remains attractive, this is offset by fundamental and technical reasons for caution. For its part, Lisbon based Banco Invest, which has a contrarian investment approach, increased its exposure to Portuguese bonds last month – having reduced its exposure to these bonds last year, after the Portuguese government elections. “Of course, higher risk means larger spread, but holding a small position could offer a tactical move,” says Paulo Monteiro, head of asset management at Banco Invest. Following the US election victory by Donald Trump, Portuguese 10-year bond yields bounced back, hitting a 9-month high in mid-November as a broad selloff of fixed income instruments took place off the back of prospects of US protectionism, expansionary fiscal policies and higher inflation hurting global growth. “However, there can be some short-term relief, we need to wait and see,” Monteiro says, in regards to the markets dynamics amid the new Trump era.